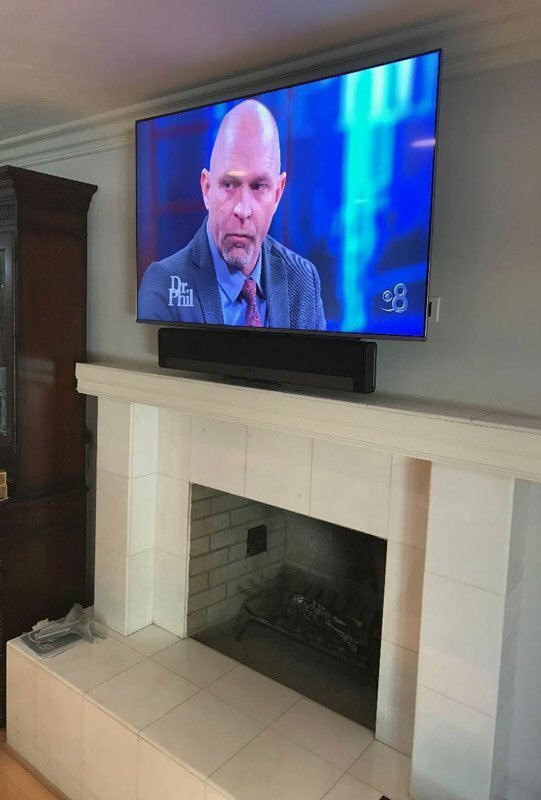 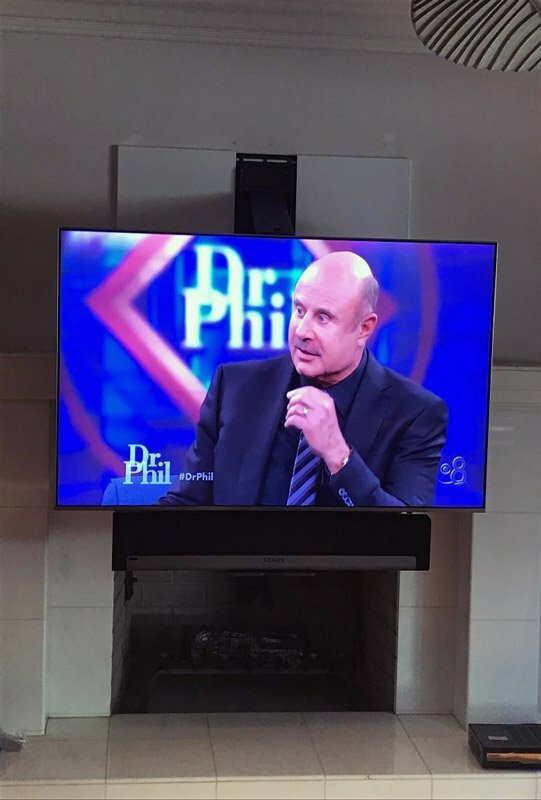 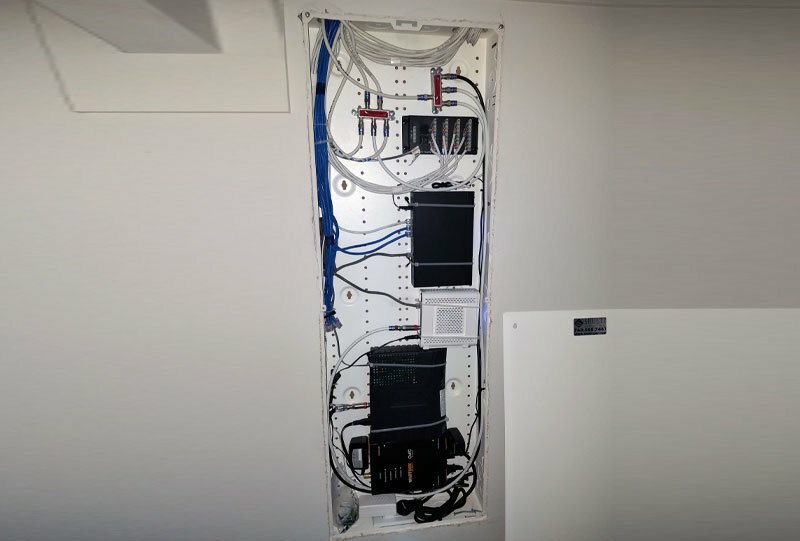 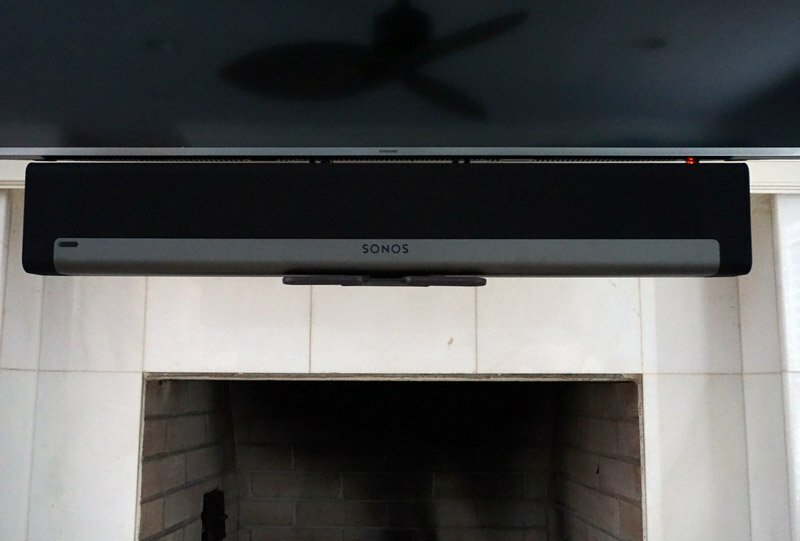 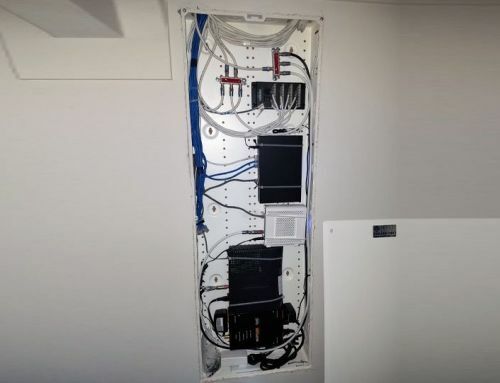 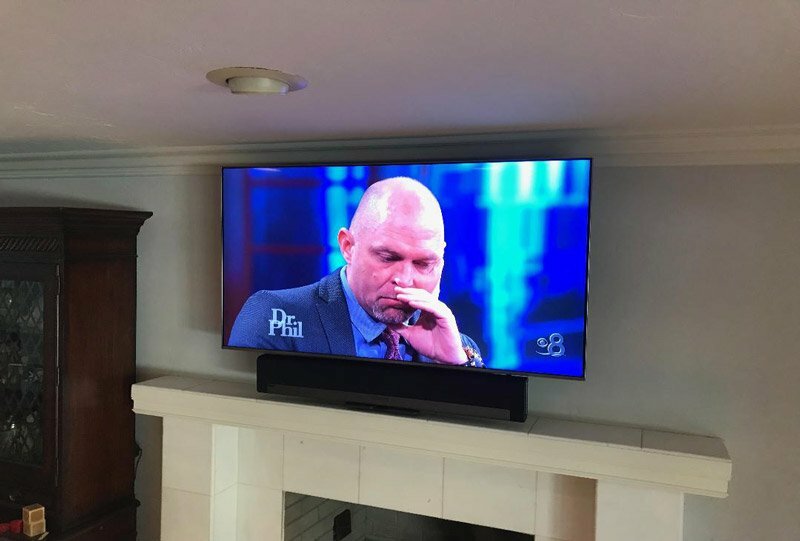 Installed a Mantle Mount with an attached a SONOS sound bar, this allows our client to reach up and pull the whole unit down and away so it brings the TV to a better viewing height and angle. 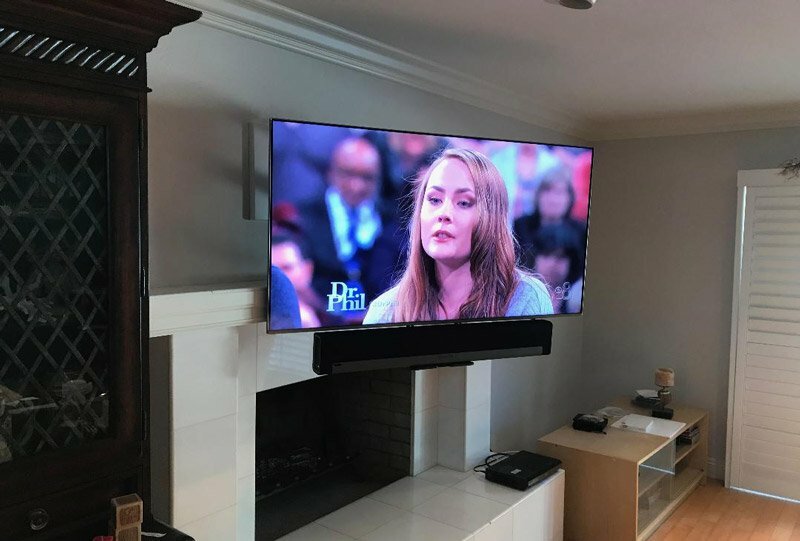 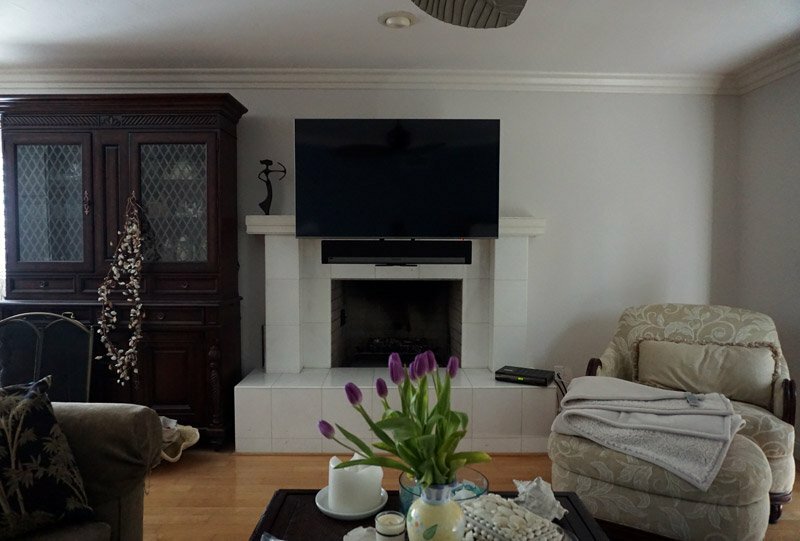 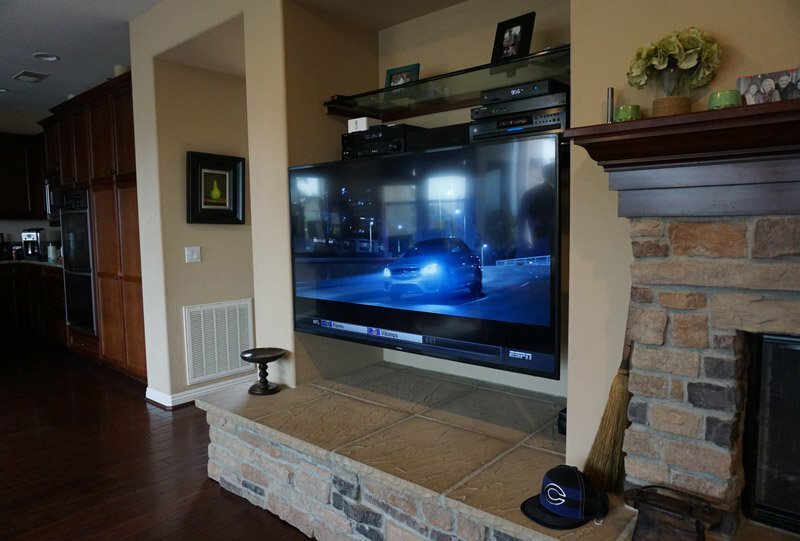 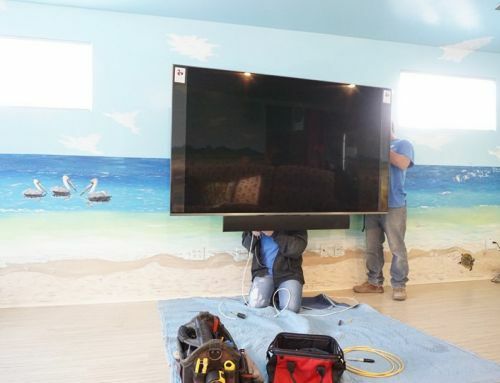 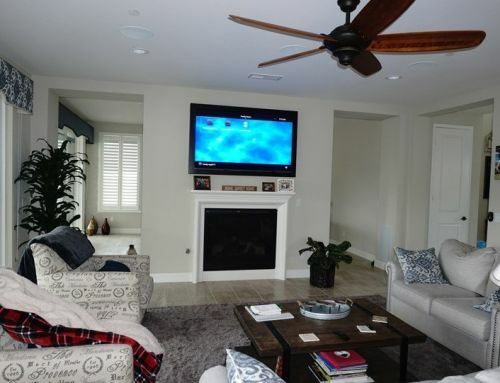 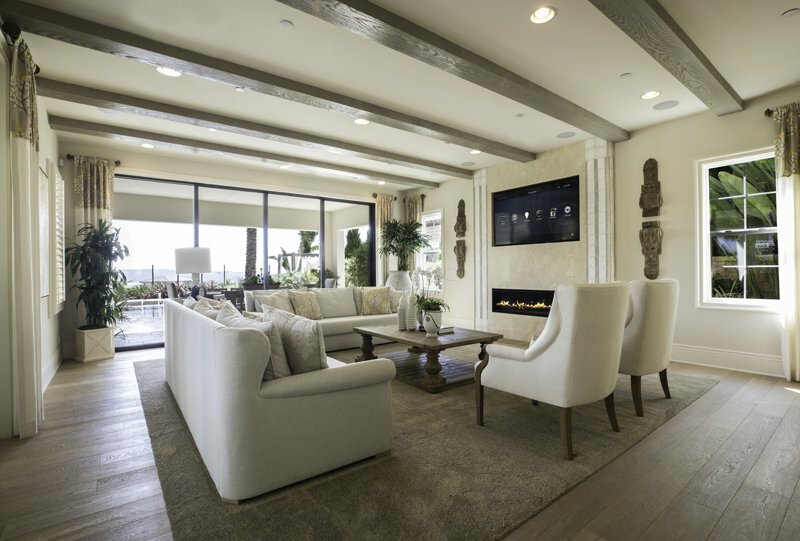 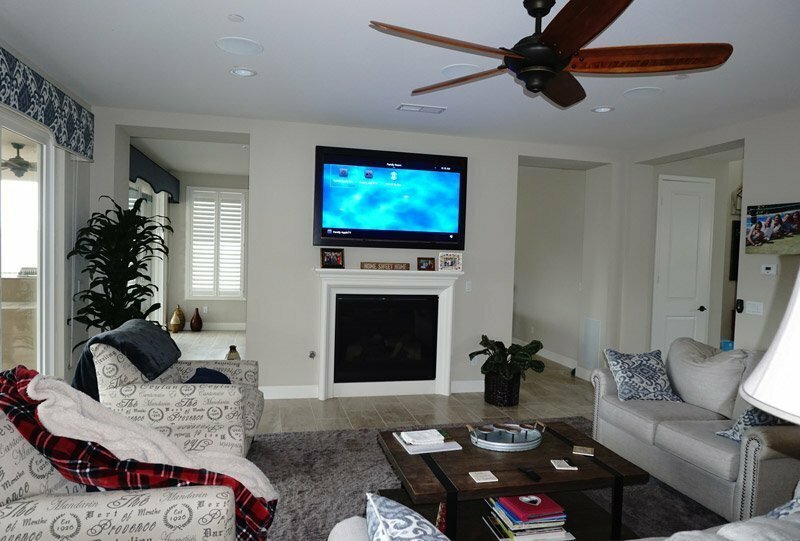 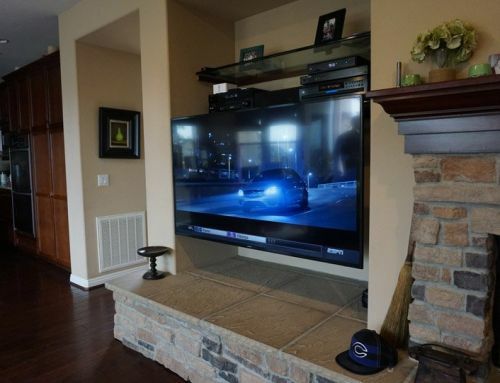 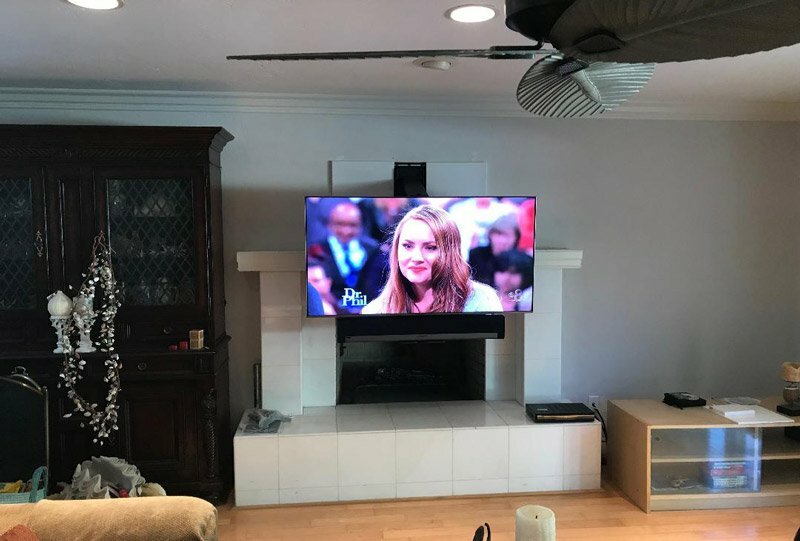 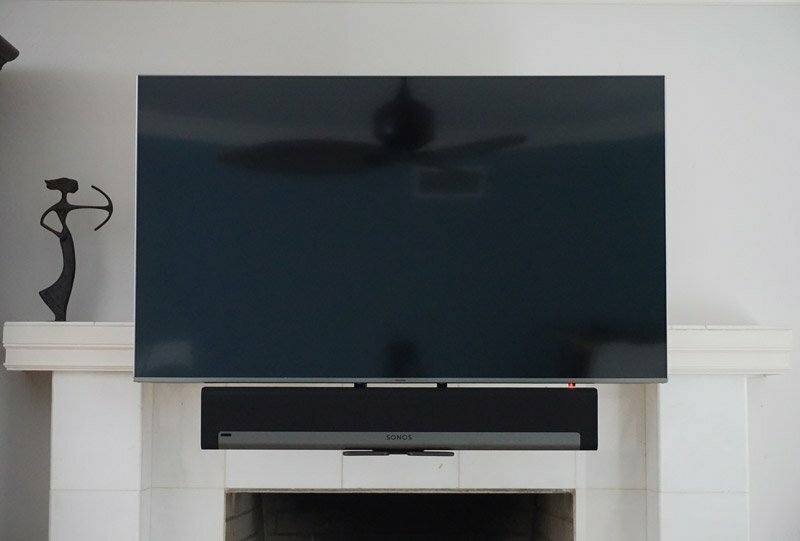 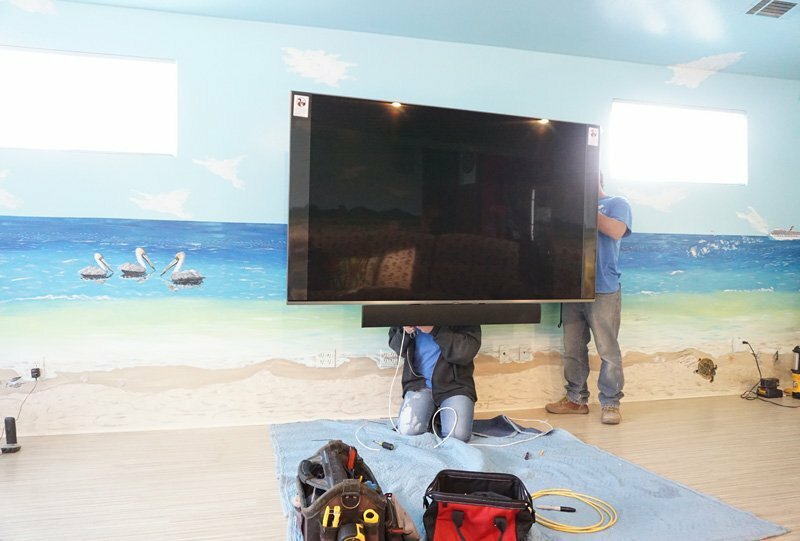 Virtually no other solutions are available in the marketplace that address the concerns of an above-the-fireplace flat screen television to provide eye-level viewing and glare reduction while also hiding all the hardware associated with your flat screen television. 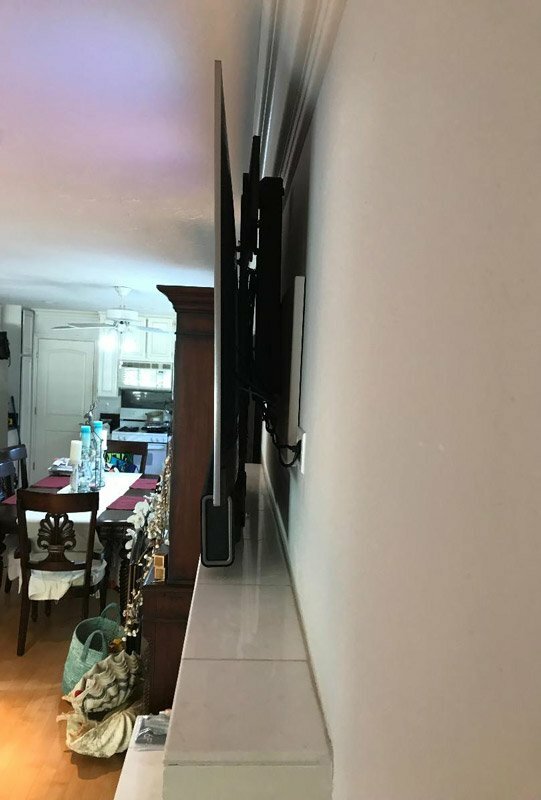 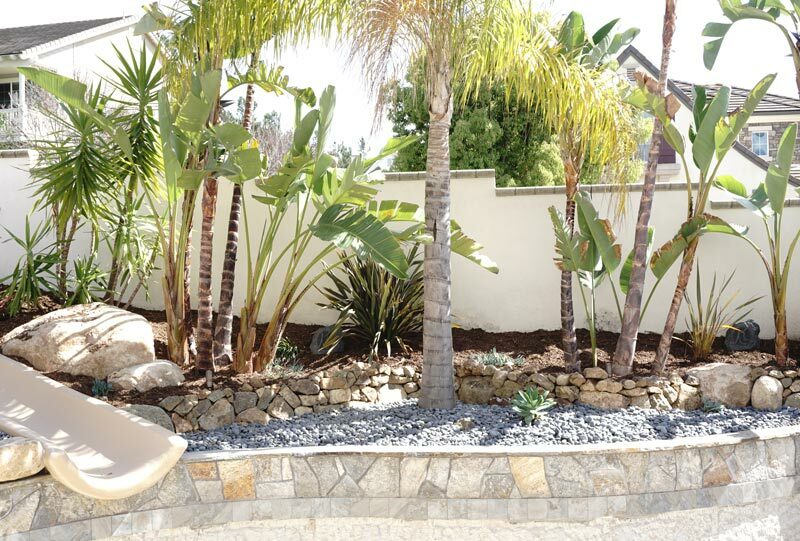 Ideal for anyone who can easily reach the handle to pull the unit down and angle it towards a seating area for the perfect view. 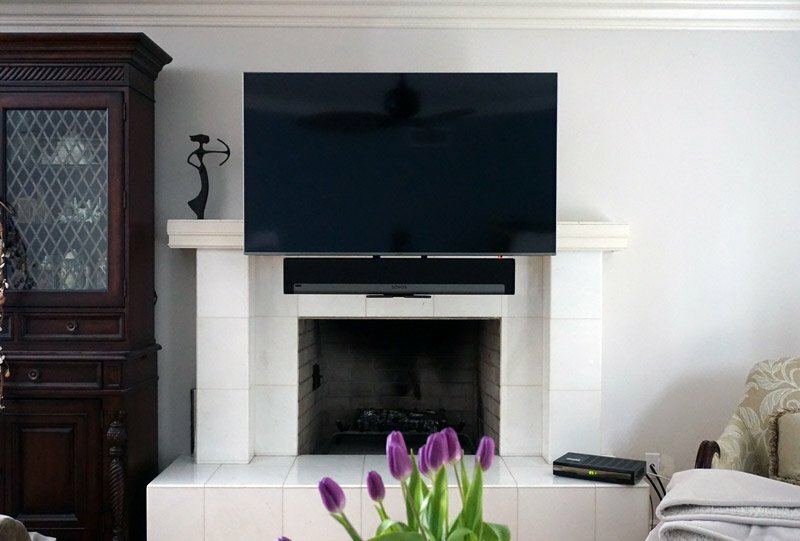 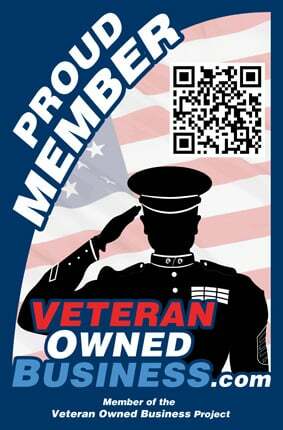 To learn more about Mantle Mounts read this article. 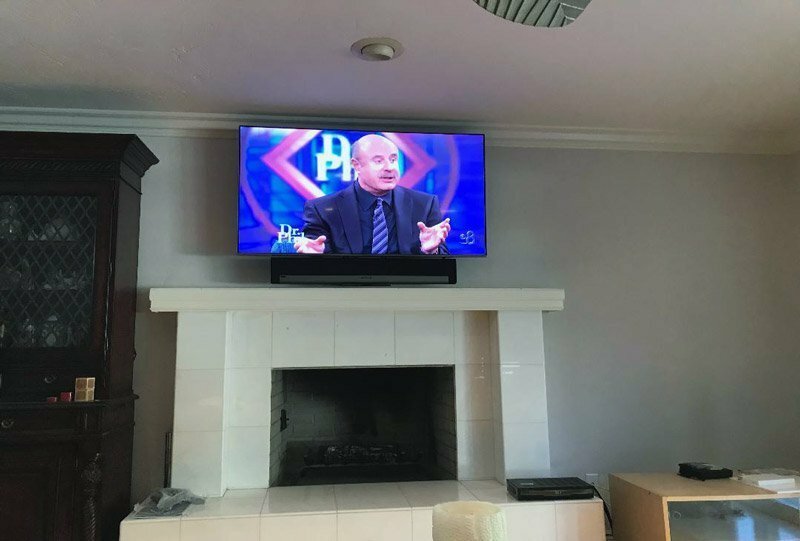 Additionally, we installed a flat wall mount in the master bedroom.